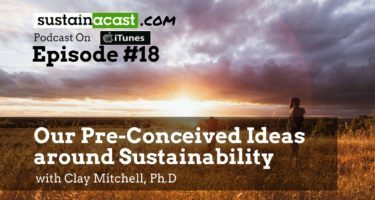 What better day to release a brand spanking new episode of Sustainacast, than on EARTH DAY 2017! 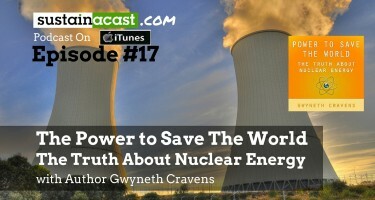 After an epic gap between episodes, I’m really pleased to bring you this discussion with my good friend Clay Mitchell. I can’t thank Clay enough for helping me get this project kick started again, and for such an interesting discussion. You can learn more about him and find him HERE. It’s been a very big gap between recordings, so thanks for sticking with me! Clay Mitchell, Ph.D is a lecturer at University of New Hampshire and has a depth of experience in business, community & public service which paved the way to his role in education at UNH currently. 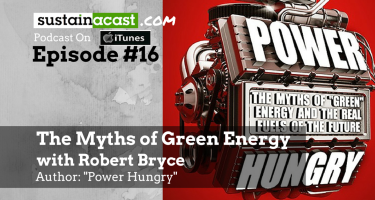 In this wide-ranging discussion, we touch on issues related to why words like “green” and “sustainability” have come to carry so much baggage. And how he goes about introducing the topic of sustainability to a room full of passionate university students who may have pre-conceived ideas about what it means. I first met Clay at a school facility management meeting in 2010 when I was invited to brainstorm with him and some facility and finance management folks on how to creatively finance some innovative energy projects. Those first discussions turned into numerous executed projects with local towns and government organizations, working through ways to provide power purchase agreements, leasing and energy finance solutions to small scale projects. Clay has worked with local governments in New Hampshire in the land use planning and energy fields for the last 20 years. 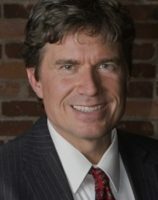 He has served as a land use planner and attorney throughout the state of New Hampshire and his work includes the development of innovative zoning approaches to energy efficient design, community re-development of brownfields, and a wide range of innovative zoning techniques to protect open space and natural resources.